I don’t know where this ridiculous word came from but somehow it is a very apt description of what has been going on lately at the Living Analog abode. It’s amazing how much of your time can be given over to such mundane but necessary tasks. The dentist, the eye doctor, the dermatologist, the regular doctor … they all have been visited. Adulting has continued with some “super fun” home maintenance stuff including duct repair that we now know has been air conditioning the 170 degree attic for the last nine months or so. This was discovered because we were in the “super fun” process of getting additional insulation quoted. Nothing says adult like spending upward of $1700 on insulation for an attic that no one sees. Between the duct fix, the insulation and the settings on our Nest, we’re hoping to see some decent savings on our electric bill. Which puts me at the last category of adulting – bills/money/financial know how. We have now paid off two of our three student loans and are agressivly paying down the remaining one. Our goal is for a debt-free life by the time we both hit the big 4-0 and I think we’re going to make it. We started using Mint.com (the above is a screen grab from their website, not our actual finances) and it has been helping us out a lot in the bills/budgeting department because it puts everything in one place and gives you a real-time view of your net worth. It can be depressing sometimes but gives you the information you need to make decisions – adult stuff. I’m not sure how I ended up at 35 when I still feel like I’m 25 but here we are. A little icing on the adult cake was finally being able to sell the 1998 BMW I affectionately called “the fug” and move up to a Toyota Tacoma. Now I can safely buy furniture again without worrying that I won’t be able to get it home (like the excitement I had at Value Village a while ago). 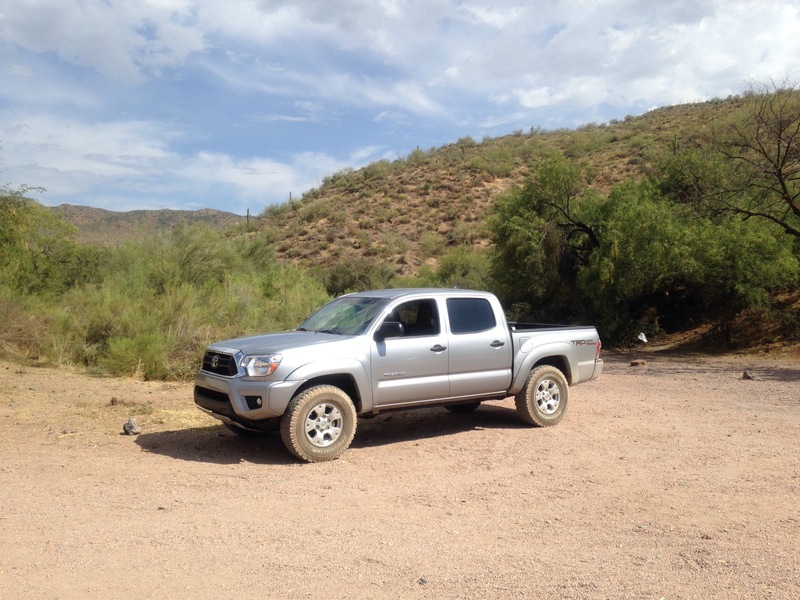 The best part is that the truck is a 4×4 and we’ve been able to have a few off-roading adventures on the many back roads of Arizona. So being an adult isn’t all bad after all.